Romans 8:29 gives the eternal purpose of God the Father for all believers in Jesus Christ. "For whom He foreknew, he also predestined to become conformed to the image of His Son . . ."
This wonderful purpose of God will not be fully realized until the second coming of Christ when He presents the church to Himself as glorious, holy and blameless (Ephesians 5:27). It is to the image of a glorified Christ that we are predestined to be conformed. We get glimpses of what that will be like when we behold Him on the Mount of Transfiguration, and the dazzling splendor of His person that temporarily blinded Saul of Tarsus. The beloved apostle John "fell at His feet as dead" when he beheld Him. He has promised us that "where I am, there you may be also" (John 14:3), "in order that they may behold My glory, which Thou hast given Me; for Thou didst love me before the foundation of the world" (Jn. 17:24). The adopted children of God must all be made to bear a resemblance to the Lord Jesus Christ, their head and elder brother. Jesus is the model after which all the elect of God must be conformed. Adam was created in the image of God (Genesis 1:26-27), but when he disobeyed and fell all of his race fell with him. He "begat a son in his own likeness after his image" (Gen. 5:3), and passed on to his posterity his corrupted, fallen nature. However, "according to His good pleasure" God determined to renew His image in those whom He had chosen to His salvation. The image of the Son of God is stamped upon all the children of God when they are adopted into God's family. The Holy Spirit imparts to them spiritual life and renders them partakers of the divine nature. The "new man" is in the image and likeness of Christ, created in righteousness. The new man is the workmanship of God, born of the Spirit, and has the Spirit of Christ dwelling in him. One day the body of the believer will be "fashioned like unto His glorious body." In a moment, in an exceedingly fast almost instantaneous movement of the eye we will be changed into His likeness. It will be as fast as the flash of light in the eye or blinking or “twinkling.” But the important thing is we will be “changed,” and we are not left to guess what we will be changed into. All whom God foreknew He predestined to be conformed to the image of His Son. Just as we have born the image of the earthly Adam, we will also bear the image of the heavenly Adam (1 Corinthians 15:49). Christ "will transform these humble bodies of ours into the likeness of his glorious body by means of that power by which he is able to subject all things to himself" (Philippians 3:21, NET). "When Christ (who is your life) appears, then you too will be revealed in glory with him" (Colossians 3:4, NET). God’s goal is for the believer to be “conformed” to what is now true of the Lord Jesus in glory. The Holy Spirit is working within the believer to transform him into the likeness of Christ who is sinless. The outward man is being transformed by the inward man who is in the likeness of Christ. The glorified saints will bear the outward expression of the character of Christ. We are conformed to the image of Christ in holiness, because Christ is made unto us sanctification. Second Corinthians 3:18 says we are being changed into the image of our Lord from glory to glory. "But we all, with unveiled face, beholding as in a mirror the glory of the Lord, are being transformed into the same image from glory to glory, just as from the Lord, the Spirit." We put on the new man which is being renewed in knowledge after Him. When the vision of the glory of Christ is perfect, the conformity will be perfect. We progress from one stage of glory to another. One day we will have full conformity to the image of Christ, both as to soul and body. Beholding His glory we are changed into the same image. The glory of Christ is His divine excellence. We are changed into the image that we are to behold by the Holy Spirit. We shall be like Christ because we shall see Him as He is (1 John 3:2). The conformity to the image of Christ, as it arises from beholding His glory is the vision of that glory that transforms us. Where do we get the vision? We get the vision from God's Word. This is the reason we need to grow in the knowledge of the Scriptures. There is no other place to find out what God is like. The apostle Paul tells us we are conformed after Christ in suffering. We must endure tribulations and suffer persecution for His righteousness sake (Philippians 3:10; Matthew 5:10-12; John 15:18-27). Suffering promotes our spiritual growth and holiness. It is because we share in Christ's suffering that we will also share His glory. "And if children, then heirs (namely, heirs of God and also fellow heirs with Christ) – if indeed we suffer with him so we may also be glorified with him" (Romans 8:17, NET). When Christ returns we are to be conformed to the image of the Son in glory. We shall be glorified together with Him because we are predestined to be conformed to His image. This image of which we see shadows now will be perfected in heaven. Out prayer should be Lord hasten the day of your coming! Even so, come today. No believer in Jesus Christ comes short of salvation. "If he is justified, he must in due time be glorified," wrote Robert Haldane. "To be glorified is to be completely conformed to the glorious image of Jesus Christ; when we see Him as He is, and be made like unto Him . . . . The glorifying of the saints will have its consummation in the day of the blessed resurrection, when their bodies shall be made like unto the glorious body of Jesus Christ; when that natural body, which was sown in corruption, in dishonor, in weakness, shall be raised as spiritual body without corruption, in glory, in power. Then death will be swallowed up in victory, all tears shall be wiped away, the Lamb will lead and feed them, and God shall be all in all" (Romans). In Romans 8:31, the apostle Paul speaks of this glorification as having already taken place, because he has the conviction that "what God has determined to do may be said to be already done." How precious that we were called into fellowship with Jesus Christ. We are called to be partakers of Christ. We share in His life. We are members of His Body, His character, His suffering and His glory. It is humbling to think we are called to be partakers of the glory of Christ, the Son of the living God (Romans 8:17, 23; 2 Thess. 2:14). 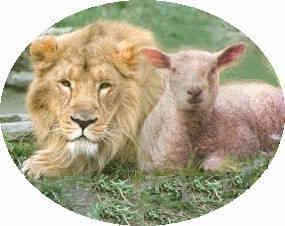 Lest we forget the apostle Paul says it is the same nature, being the same in substance and equal in power and glory. That is the part that challenges our faith when we see from where God has saved us. We are being constantly conformed to His character and likeness. Ephesians 4:13, 19 says, "until we all attain to the unity of the faith, and of the knowledge of the Son of God, to a mature man, to the measure of the stature which belongs to the fullness of Christ. . . . and they, having become callous, have given themselves over to sensuality for the practice of every kind of impurity with greediness." "The fullness of Christ," like the expression "fullness of God," is that fullness, or plentitude which flows from Him, and which He communicates. The fullness of God is that excellence of which God Himself is full. The standard to which the believer is to attain is absolute perfection. "So then, be perfect, as your heavenly Father is perfect" (Matthew 5:48, NET). "Speak to the whole congregation of the Israelites and tell them, ‘You must be holy because I, the Lord your God, am holy’" (Leviticus 19:2, NET). God has predestined the believer to be perfect as man, as God is perfect as God. What we have just studied is the Spirit-controlled person. It is the person filled with the Spirit and yielded to Christ. It is only as we make ourselves available to Him that He can fill us with Himself and conform us to His likeness. The apostle Paul contemplates the whole church standing before God perfect. God’s goal is for every believer to become perfect, completely conformed to Christ. This standard is not for a select few, but for the whole Body of Christ. It will not occur in this life, but when Christ presents His glorious church spotless when He returns. 1. Are you hungering and thirsting for God's kind of righteousness? 2. Are you putting on the new man to possess more of the likeness of Christ? 3. Jesus Christ has imputed His righteousness to the believer (2 Cor. 5:21), and we are assured that the fulfillment is as certain as if we are already glorified (Rom. 8:30). 4. Only they are Christians who are like Christ in character and destiny. To what extent do I reflect the glory of the Lord Jesus Christ in my daily life? Have You Seen the Face of God?